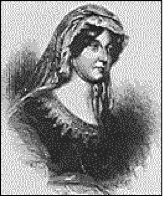 Lady Carolina Nairne was the author of many of what have become Scotland’s best known songs but much of her work has been attributed since to other writers such as Walter Scott or Robert Burns. 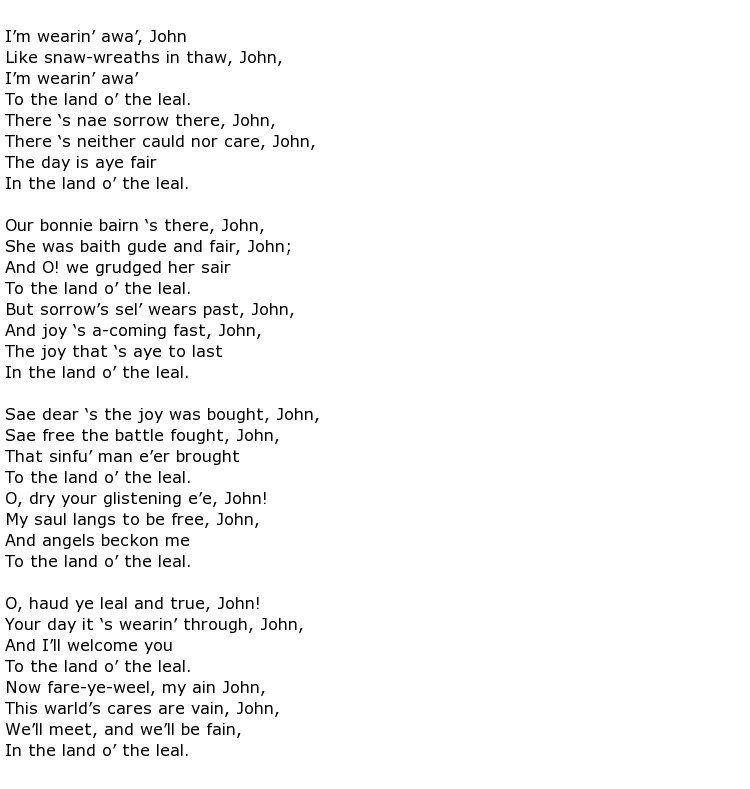 She wrote many Jacobite songs such as Will Ye No Come Back Again and Charlie is My Darling, the latter being a title much used in other songs since the original was written. She was born Carolina Oliphant on the 16th August 1766 at Gask House in Perthshire. Her progressively minded father ensured that his three daughters received as good an education as his two sons which, for that time, was unusual. Both parents were avid Jacobites and her father had suffered following the Culloden massacre in that he was forced to leave Scotland along with his own father, losing their ancestral lands in the process. This period of exile was not good for his health and Carolina tried to cheer him up with her uplifting songs. It is thought that she may have teamed up with legendary fiddler Niel Gow to adapt and perform traditional Scottish songs. However, songs such as The Laird o’ Cockpen will have needed a little editing to make them more palatable for delicate ears! Besides being an able composer Caroline was also a good and enthusiastic dancer. By the age of 41 she decided it was time to settle down a bit and she married a second cousin, a soldier by the name of Major William Murray Nairne, taking up residence in Edinburgh. Her enthusiasm for song writing was not dimmed though and she continued her quest to discover and adapt old compositions, often in secret as it was not seemly for society ladies to become involved in what was described as “this queer trade of song-writing”. Her books of poems and song lyrics were published using the pseudonym Mrs Bogan of Bogan and she even kept her work secret from Major Nairne. It was not until after her death that her sister had Lays of Strathearn, a collection of her verse, published with Carolina’s name displayed proudly on the cover. Her literary work was considerable with at least 100 poems and songs being attributed to her. She was responsible for reviving old tunes and verses as well as adding new ones at a time when women were expected to display domestic and wifely talents only. Although her name has been neglected in some quarters, there is no doubt that she was responsible for the preservation of a great deal of Scottish musical heritage. Great political lobbying was afoot in the 1820s to get the old Jacobite peerages restored, with Walter Scott at the forefront of this campaign. Finally, in 1824, Parliament relented and Carolina and her husband became Baron and Baroness Nairne. Alas, the Baron died six years later and she then decided to travel, first throughout England and Ireland and then Europe. Her invalid son died on their travels, in Brussels, and Carolina herself became sick and was forced to return home in October 1845. It was at Gask House that Lady Carolina Nairne died on the 26th October 1845 at the age of 79.